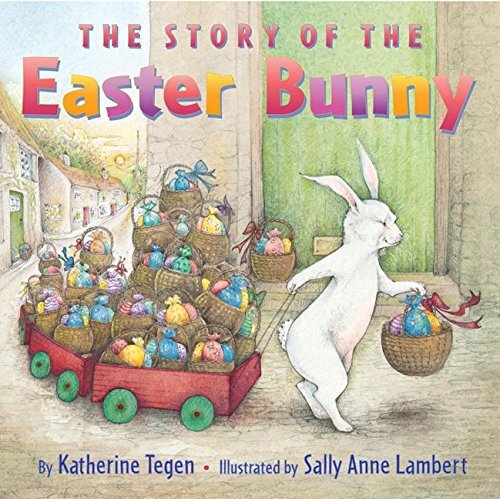 With Easter just around the corner, how can we add it to our school day? 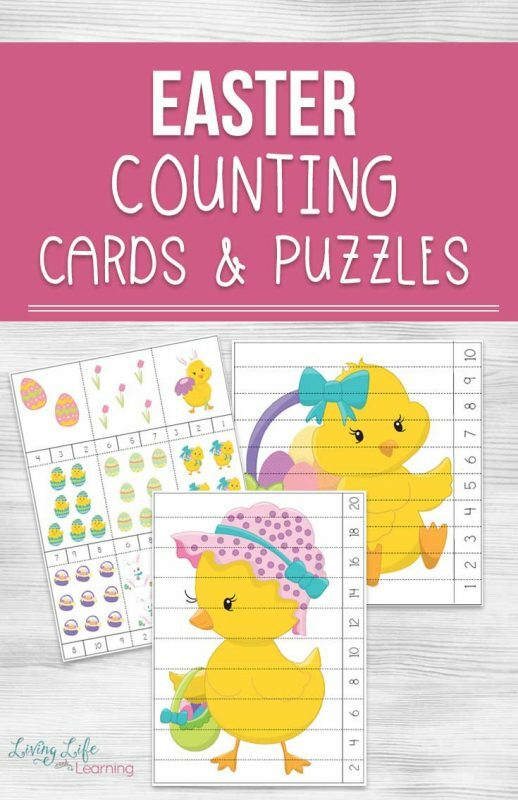 Why not get counting with these adorable Easter counting cards and puzzles? 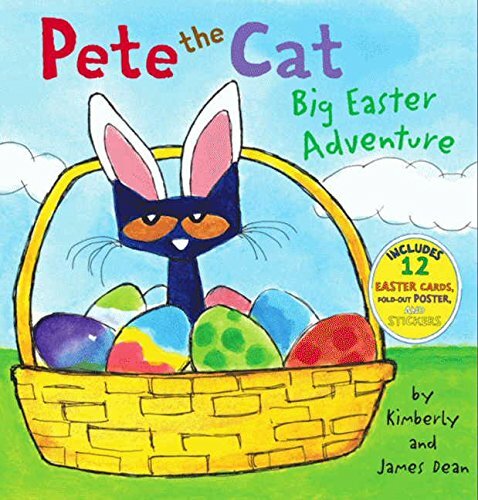 If your kids are looking forward to spring and all it’s animals, then this Easter themed counting activity will make it a blast. 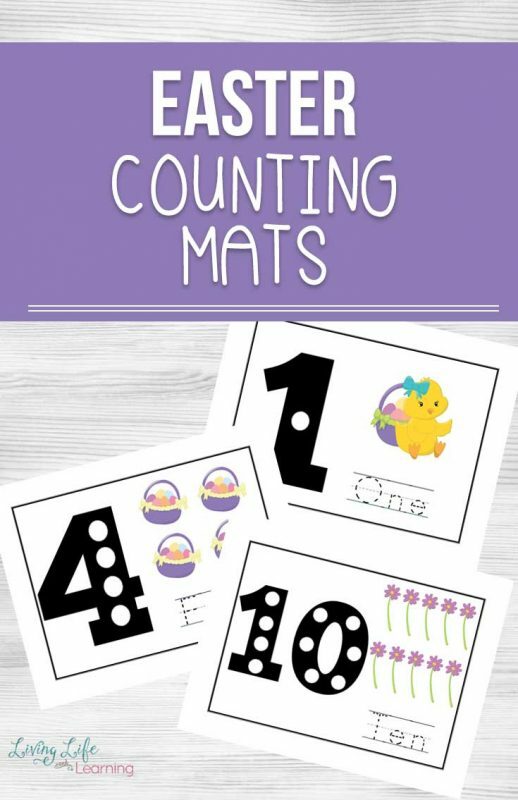 Print the counting cards onto card stock then have your child use clothes pins to choose the correct answer. The puzzles can also be printed onto cardstock and laminated if you’d like to reuse them. 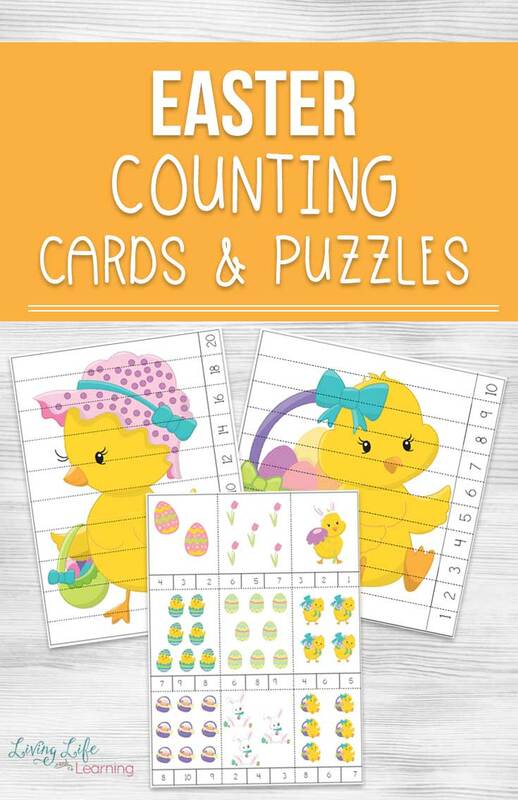 The puzzles counting to 10, count by 2’s, 5’s and 10’s as well with a fun Easter chick theme. 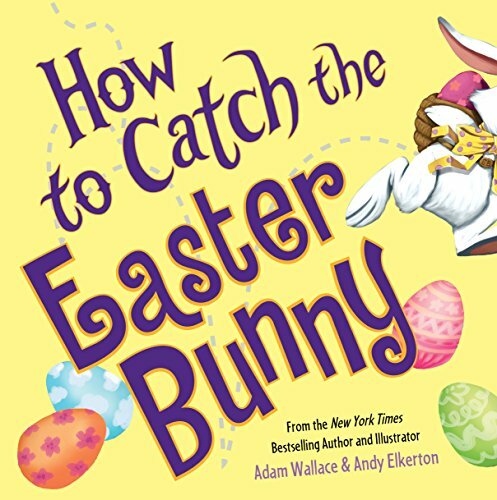 While you’re kids may not understand the concept of skip counting right now, it doesn’t hurt to expose it to them and they can figure it all out on their own using the pictures as a guide to complete the puzzle. 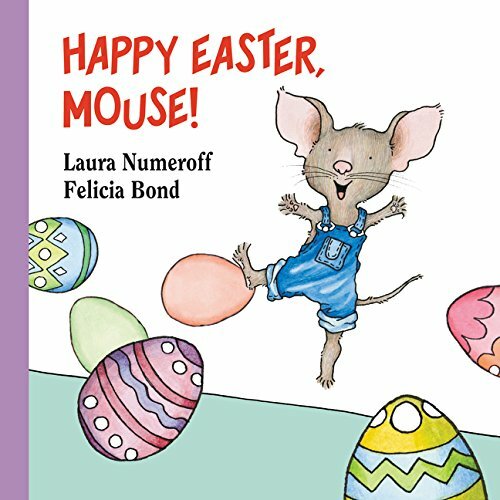 Math and counting doesn’t have to look the same each time of the year. 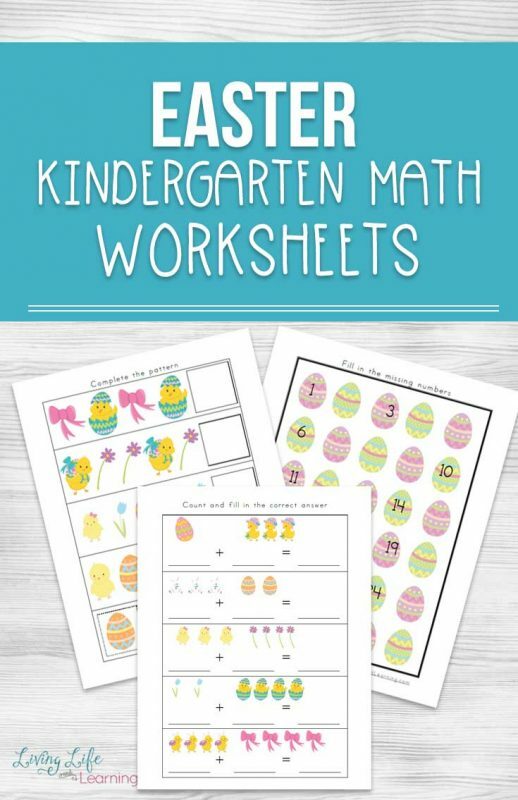 Change things up by bringing in different seasons or themes to practice these much needed math skills. 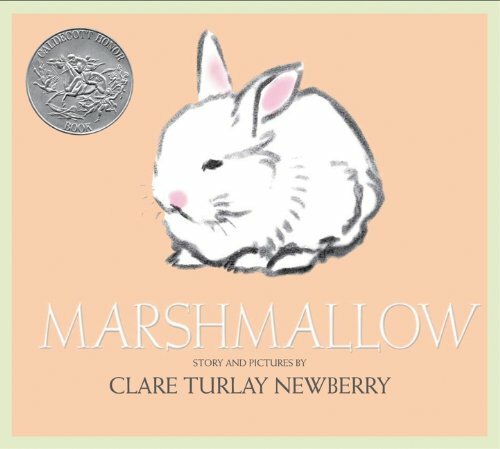 Pair this counting activity with one of your favorite Easter books. 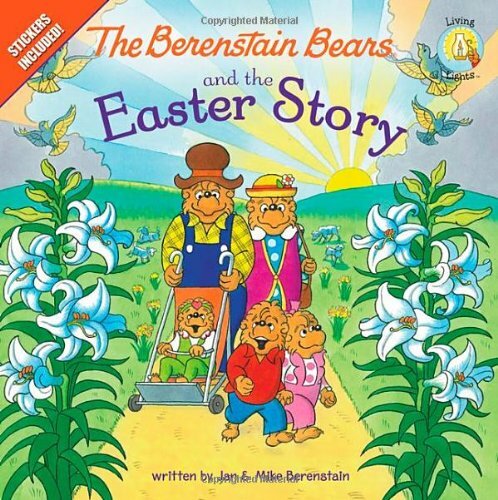 Learn all about the story of the Easter bunny or see how your favorite characters celebrate Easter. 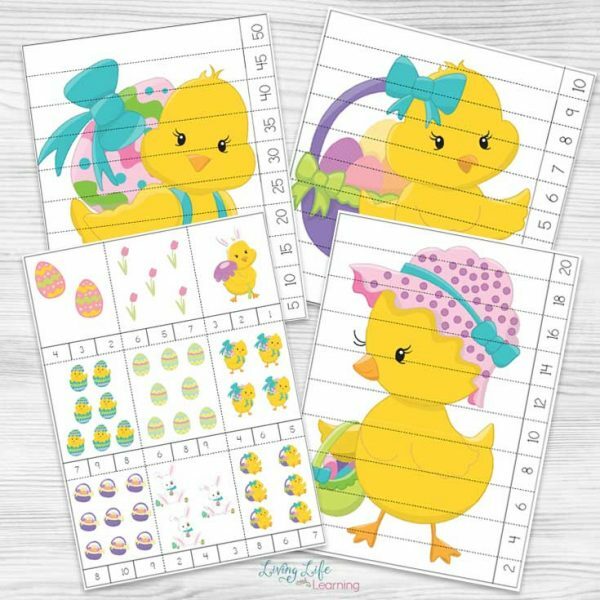 If you enjoyed these Easter counting cards and puzzles, I’m sure you’ll love these other Easter printables for kids.